Hi, my name is Chris Corwin-Gayle ( just call me Chris) and i run the site. I used to work on a trading desk where I spent my days filling orders for institutions. I have been trading independently for 14 years now. 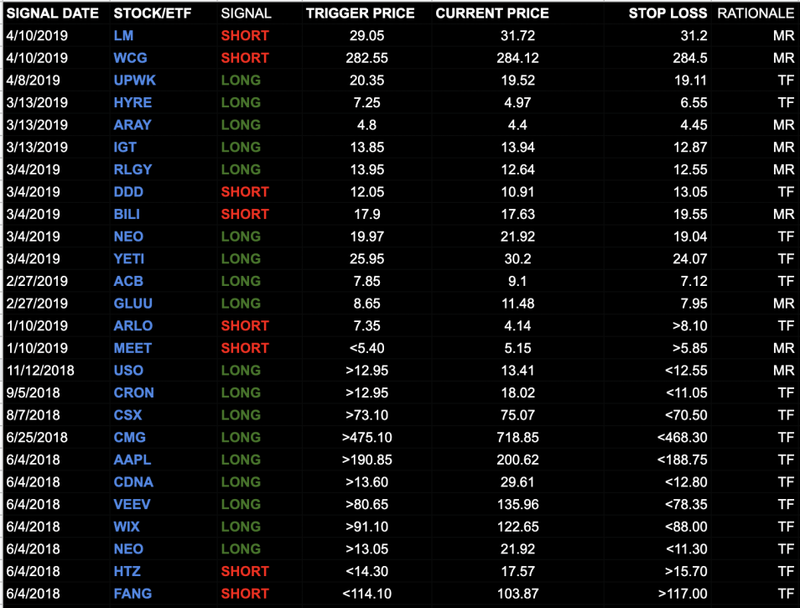 Over 3400 Trades. 2,487 Winners. I use two primary methods/strategies to trade. One is a Momentum strategy and the other is Mean Reversion (overbought/oversold) strategy. Since I have a Stop Loss and Profit Target on the trade, I will NOT send an alert to tell you when to get out of the trade. I will ONLY send such a note IF I see that the reason for taking the trade is no longer valid and we need to close out early. Otherwise, I just let the trades play out as planned. So you will need to stay on top of your stops and exits. ( If you are auto-trading, then this does not apply to you). In the end you are 100% responsible for your account management. I trade to make money....I don't trade for the sake of trading. So sometimes if things are a bit slow it means I am not seeing any good set ups in the universe of names that I follow and where I am competent. As I said, I may venture to trade other names but it is based on certain conditions. So don't get mad at me if I sit on my hands and don't trade for a few days/weeks. When I just started out my biggest problem was over-trading and not being patient enough to wait for the right set ups. Now that I have conquered that beast ( for the most part) I am in no rush to get back in that fight lol. I am usually in the Chat room between 8am EST and 5Pm EST. Most of the traders work 9-5 jobs so only about 10% of our traders participate in the discussions in the chat room. The vibe is usually chill and you simply have to just be respectful and address others the same way you would want to be addressed. You are free to post your trade ideas and ask questions etc. 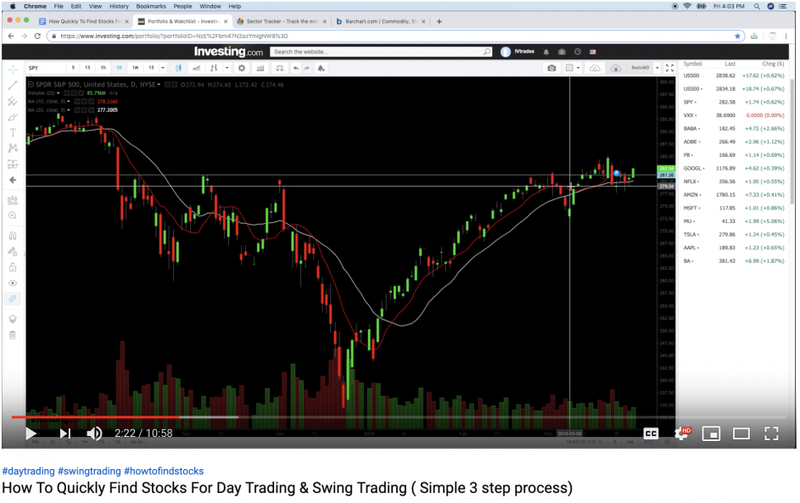 NOTE: If you start your free trial before the end of this month, you can take advantage of a $200 discount and trade with us for only $299/year (usually $499) . Alternatively there is a $49/month option. Refund Policy/Trial Period: I offer a 30 day trial with a twist. The twist is that the payment is made and you get a refund if you decide that you don't like my trading style or you don't make any money. I do the upfront payment because it helps me to filter out tire kickers and this keeps the admin work to a minimum so I can focus on trading. 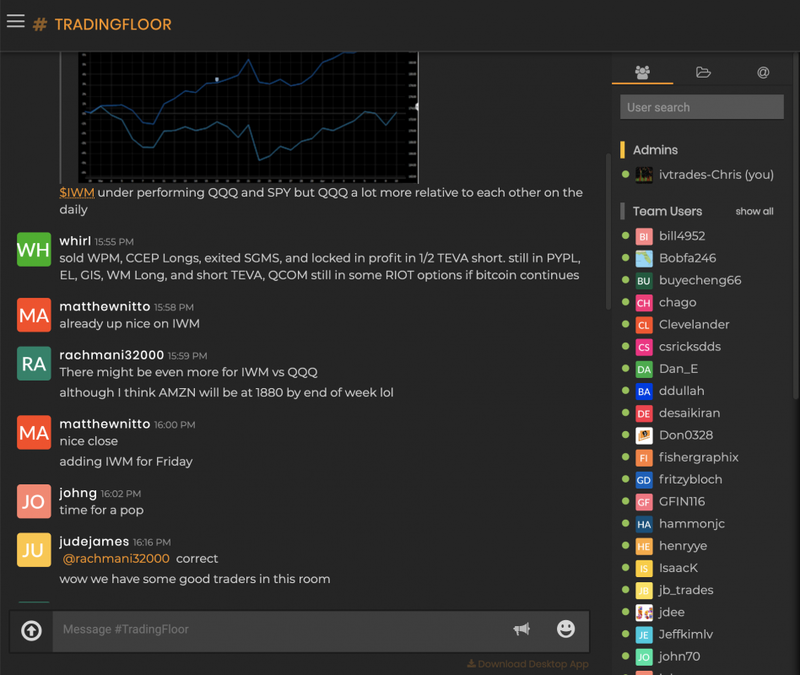 It also keeps the quality of people/ideas/discussion in the chat room at a very high level because it is not over run by people just passing through and pumping stocks. I am all about quality over quantity. Both in terms of my trades and the people I have in my chat room. CONSISTENTLY PROFITABLE. NO NONSENSE TRADING.